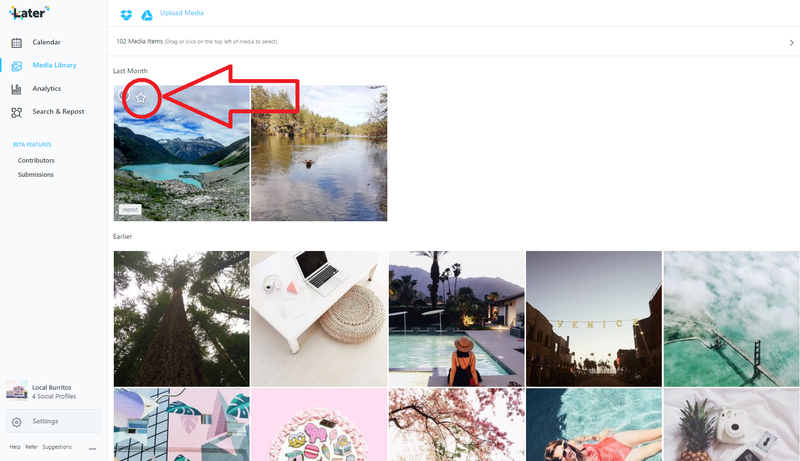 Starred Media is a quick way to bookmark photos and videos from your Media Library so when you’re scheduling a post you can easily find the starred item(s) from the Side Library. Now that you’ve starred media from your Media Library, you can quickly access those photos and videos from your Side Library to schedule! Select Starred Media from the drop down menu in your Side Library. 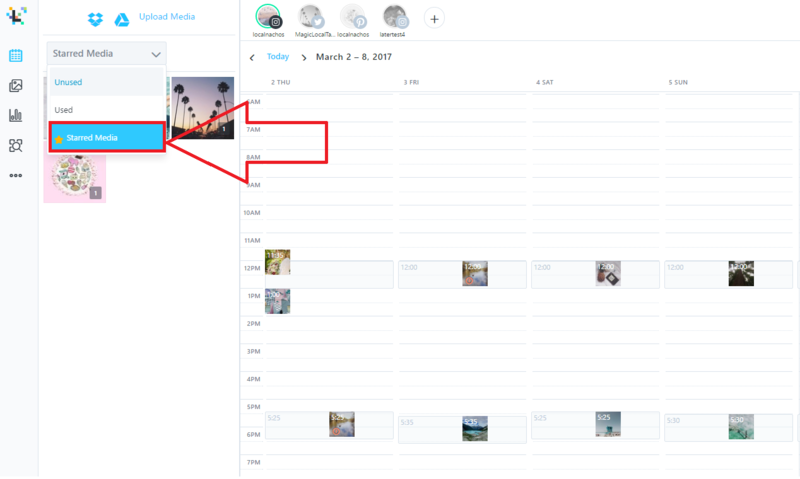 From here you can see any media that you’ve starred in your Media Library, making it easy to schedule onto the Calendar. Note: Starred media information is stored on your browser. This means that each Team Member can have their own starred media!